Missing that extra "something" to upgrade your everyday look? Look no further because this minimalistic lariat necklace adds style and personality. 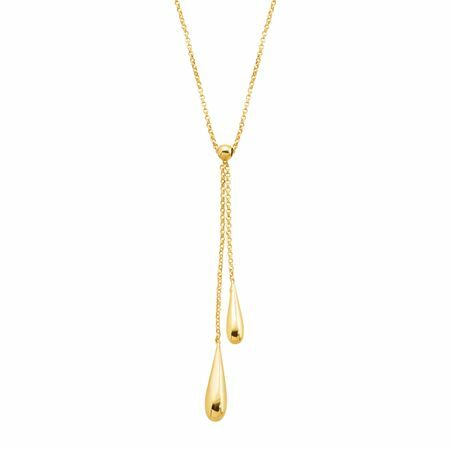 Two teardrop-shaped pieces suspend from petite cable chains for double the shine and movement. Piece measures 2 by 3/16 inches. Comes with a 14K gold 18-inch cable chain with a spring ring clasp. Made in Italy.